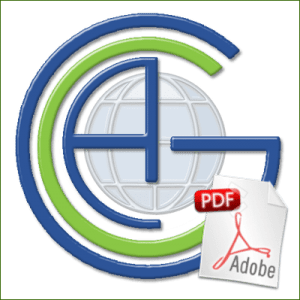 ACG have produced this Anglo American history as a case study in corporate governance at the 100 year-old Oppenheimer family mining and commodities business. You can download it free at the bottom of the page. This is a story which would seem to follow the traditional “clogs to clogs in three generations” except that the third generation is said to be worth c$7 billion. However, it does appear that the entrepreneurial gene in the founding family lost its potency in that third generation. It’s worth looking at the earlier history of AngloAmerican because it illustrates, albeit on a grand scale, what can happen when a family controlled business passes into public ownership and employs professional managers whose approach to running the business is different and whose ability to respond to market opportunities and threats isn’t necessarily in the same class as that of the founders. It begins with Ernest Oppenheimer, born in 1880, whose father sent him from his home in Germany at the age of sixteen to work in the diamond trade in London. He was an impressive enough youngster for his employer to send him at the age of twenty two to represent them as buyer in Kimberley in South Africa. He clearly made an impact locally as he became mayor of Kimberley by the age of thirty. By 1917 he was well enough established to set up a gold mining business and get himself funded by the leading American banker of the day, J P Morgan. He called his new business AngloAmerican Corporation of South Africa. Two years later he set up his own diamond prospecting business, Consolidated Diamond Mines of South West Africa and within the next few years had been able to gain control of De Beers, the dominant diamond miner founded by Cecil Rhodes. Shortly afterwards he went into copper mining in Northern Rhodesia and in the mid-nineteen forties AngloAmerican took a stake in the coal industry. During this period, in 1924, he found time to be elected to parliament. This man was a serious businessman who became a noted philanthropist. His son, Harry Oppenheimer, born in 1909, took over as managing director of AngloAmerican after leaving the army at the age of 35 and for the next forty years presided over a prosperous and growing empire. He managed this while the political tides swirled round him, having become a member of parliament in 1948 and economic spokesman for the main opposition party after the Nationalists won the election. On his father’s death he resigned his seat to devote himself full-time to the family business interests but funded the new Progressive Party and in the ensuing decades set up foundations to support black welfare and housing. In the 1950s AngloAmerican developed its gold mines so successfully that it became the biggest gold-mining group in the world. In 1961 the company acquired a major stake in a Canadian company, Hudson Bay Mining and Smelting, and in 1967 it acquired South African steel-maker, Scaw Metals. In the same year another of its ventures was Mondi, a business in timber, pulp and paper, for which it built a mill in Durban. In 1982, Harry Oppenheimer handed over chairmanship to his former private secretary, Gavin Relly, who held the role till 1990. While recognising the need for the black community to have a greater stake both in the general economy and in his own companies and devoting considerable resource to improving their lot, Harry Oppenheimer was no revolutionary and worked with the government, despite being reviled by the Afrikaners as a liberal Anglo-Englishman. Moreover, the conditions in his mines would be thought today to be totally unacceptable and indeed led to riots in future years. But that was later and when he passed on the reins at AngloAmerican and later De Beers, AngloAmerican was a major force in South African politics and a significant element in the economy, as well as being recognised as probably the global leader in the mining industry. Like his father, Ernest, Harry Oppenheimer was clearly a charismatic and highly successful businessman and philanthropist. His son, Nicky, joined AngloAmerican in 1968 at the age of 23, became a director six years later and Deputy Chairman in 1983, remaining in that role until 2001. He and his family have devoted much of their lives to philanthropic, conservation and environmental issues. In 1990, Julian Ogilvie Thompson, who had taken the chair at De Beers when Harry Oppenheimer resigned some years before, took over as Chairman and CEO of AngloAmerican. In 1994 apartheid ended with the election of the ANC and the world started to change for AngloAmerican. By 1999, it had taken the decision to bulk up, by merging with its affiliate company Minorco which mainly managed its non-African, non-diamond mining interests, and to seek a primary listing in London, with a secondary listing in Johannesburg. In the process, it reorganised itself, spinning off its gold operations into AngloGold, and sold off various interests it had acquired including stakes in South African Breweries, Terra Industries, a fertiliser maker, and Englehard, a US speciality chemicals firm which made emission catalysts. In 2000 Julian Ogilvie Thompson was replaced as CEO by Tony Trahar who had run the packaging business of Mondi, and in 2002 he retired as chairman to be replaced by Mark Moody-Stuart ex-CEO of Shell. Various large deals followed, including acquiring the aggregates and building materials side of UK’s Tarmac, a construction company, and Shell Petroleum’s coal assets, then copper operations in Chile and a huge iron ore producer in South Africa. In 2002, AngloAmerican opened a representative office in China and in 2004, AngloGold acquired the interests of the Ashanti gold mines in Ghana to create AngloGoldAshanti and become the world’s second largest gold producer. In 2007 Tony Trahar handed over to Cynthia Carroll, a geologist who had headed one of Alcan’s major divisions. In the same year Anglo spun off Mondi and during the next few years Anglo opened a representative office in New Delhi, bought into a copper project in Peru, commenced the giant iron ore project of Minas-Rio in Brazil and bought a stake in a copper project in Alaska. In 2009, Mark Moody-Stuart was replaced as chairman by Sir John Parker, and in 2011, Anglo bought out the Oppenheimer shareholding in De Beers, raising its stake to 85% and sold part of its stake in the Chilean copper mine to Japanese Misubishi. At this time Nicky Oppenheimer retired from the Anglo Board. In 2012 it sold Scaw, then in 2013 it sold out of its Alaskan interests which had come under criticism from environmental lobby groups, and in 2014 it sold its stake in Tarmac. Meanwhile, in 2012 a strike at Lonmin’s Marikana mine over pay and working conditions resulted in a confrontation between managers, unions and security forces which resulted in many deaths. This led to a strike at AngloAmerican Platinum which resulted in a threat to fire 12,000 people. In 2013, Cynthia Carroll left Anglo to be replaced by Mark Cutifani, the Australian head of AngloGoldAshanti. Mr Cutifani’s early assessment was that Anglo faced fundamental problems and the group had to be simplified and cut back to a core of businesses in which it had market leadership. After two years he announced massive cutbacks which, after implementation, would take the corporation out of iron, nickel and coal and reduce the group of businesses to copper, diamonds and platinum group metals. The colossal cutbacks, still to be implemented, will result in a reduction of the number of mines from 55 to 15 and employees from over 150,000 in 2013 to a medium term target of 50,000. Since Harry Oppenheimer retired, AngloAmerican has faced a series of fundamental challenges, any one of which would have drawn on all the entrepreneurial and political skills of the founder and his son. The first challenge was arguably the domestic political transition from the Afrikaner-controlled government to that of the ANC and the welcoming back into the global community of South Africa as a nation. The opportunities thereby opened up persuaded AngloAmerican to think globally rather than simply internationally. Hence the board appears to have decided that it should seek a London listing rather than remain as the biggest fish in a small pool at Johannesburg. This would seemingly require bulking up and rationalising, hence the absorption of Minorco and the other organisational changes of the late nineties. However, this presented a major cultural challenge since there were many other very big fish in the pool called London and as public companies, their boards were expected to be open and accountable to financial analysts and journalists. Furthermore, these same analysts seemed to think that the big mining group ought to be more focused on mining and wondered why it had large investments in other industries like packaging. This appears to have been uncongenial, so say the least, to the top people in what had been a tightly controlled family company with a very strong hierarchical, almost aristocratic culture, and AngloAmerican acquired a reputation for being less than understanding of this requirement for openness and willingness to explain and sell the company’s strategic plans. Similarly, from the testimony of some of those who worked there at the time, this strong culture mitigated against the need to adapt quickly to thinking as a major global player. But, in due course, Tony Traher, who had been criticised for his background in paper and packaging rather than mining, succumbed to pressure and agreed to sell off Mondi. It’s possible that Traher’s packaging background did, indeed, make him slower than his competitors to spot the mining opportunities coming over the horizon as a result of China’s emergence on the global scene and the likely impact on demand for the extractive industries. In the event, AngloAmerican has been criticised for being late off the mark compared with BHP Billiton and RioTinto and later, Xstrata, in gearing up for the commodity boom of the noughties. All these companies made big, expansionary bets, and most made mistakes – RioTinto with its top of the cycle acquisition of Alcan and BHP Billiton with its big spend on oil and gas facilities – but AngloAmerican was, supposedly, held back by an innate cultural caution, preferring its spread of interests as a hedge against cyclical changes in commodity prices. However, it appears to have got its strategy wrong as, being perceived to have missed the boat in regard to the huge increase in demand coming out of China, it decided belatedly to make a big bet on Brazil. This bet was the Minas-Rio iron ore project with a Brazilian partner. Unfortunately, the political and environmental problems which emerged turned this project into something of a nightmare and the resulting delays and cost over-runs started to put the company’s very survival at risk. To make matters critically worse, after the financial crisis of 2008, the Chinese economy progressively lost its export-led growth which funded its domestic infrastructure programme and created its huge steel-making industry and raft of coal-fired power stations. The result was a progressive collapse in commodity prices – the end of the super-cycle, it was said. So AngloAmerican had embarked on a huge iron ore investment programme which would come on stream long after the collapse in demand for iron ore. The impact on finances was predictable, as was the impact on the company’s share price. The third major strategic challenge arose from local political pressures to improve the pay and working conditions of the mining employees. The impact of the tragic shootings in the so-called Marikana Massacre at the Lonmin mines in August 2012 reverberated to the top of government with the involvement of the president and his top ministers, the opposition leaders, the Police Commissioner and religious leaders and political leaders around the world. The reputation of the managements of the big mining companies was severely damaged. The tragedy featured an aggressive new union, the Association of Mineworkers and Construction Union (AMCU), which was challenging the established National Union of Mineworkers (NUM). A stand-off strike at AngloAmerican in the autumn of 2012 was followed in January 2014 by a five month strike at AngloAmerican Platinum (Amplats), led by the AMCU, demanding a doubling of the basic wage, which was eventually settled with large increases in wages at all the big mining companies, but at great short-term cost to both employers in terms of lost revenue (Amplats was estimated to be operating at 60% of capacity), and to the striking miners through the poverty inflicted by the strike. Most recently, a class action has been launched against the gold mining companies for compensation for lung diseases incurred by miners over the years due to their exposure to unsafe working conditions. AngloAmerican and AngloGoldAshanti are included in this group and if the actions are successful, the potential cost could run into billions for the industry. Thus, against the background of a collapse in commodity prices and the increase in operating costs, the industry is facing increased regulation and even a possible renewed application of the Black Economic Empowerment policy to add to uncertainty for investors. Reviewing the history of AngloAmerican since the retirement of Harry Oppenheimer, it would seem that the major constraint to organisational change has been cultural, but that the over-riding problem has been that the nature of the leadership has been progressively more inappropriate. Taking culture first, a strong, paternalistic family culture generated by a powerful, charismatic leader, is a force for strength and efficiency when everything is going well. Indeed, the culture in Anglo created an admired organisation and a reverence for the leadership and those directly associated with it. This culture probably lasted until the death of Harry Oppenheimer in 2000. Indeed, the author recalls attending a cricket match in South Africa in 1999 where the visiting Pakistani Test side was playing a South African team selected by Nicky Oppenheimer in an immaculate ground, with squatters camps from Zimbabwe in the valley below. Harry Oppenheimer was watching his son’s team perform. It was apparently the custom for the visiting Test sides to play against a team put together by his son. Such was the standing of the AngloAmerican corporation. However, when market conditions start to undergo radical changes, the very strength of the culture can become a lethal impediment to the radical changes that become imperative. And the more extreme the changes, the more the organisation needs entrepreneurial leadership rather than that of professional managers. Lets’ look briefly for comparison at the performance of two competitors in recent years: BHP Billiton and Glencore, both faced by similar major strategic challenges. BHP Billiton had been in growth mode through acquisitions during the period that Anglo had gone backwards and is now spoken of as the biggest mining company in the world. It faced up to the current commodity crisis in 2014 by parcelling its less wanted assets into a new vehicle, South32, leaving it with a focus on four main commodities. Glencore, successor to Marc Rich’s trading operations, is run by a businessman with entrepreneurial abilities, Ivan Glasenberg, and had also built up a leading position in mining, not without criticism for some controversial dealings. But it ran into criticism in 2015 as a result of hitting the commodity downturn with very high debt levels as a result of its acquisition programme. As an entrepreneurial and unchallenged leader, Mr Glasenberg took early steps to raise new equity and put in place an aggressive asset sale programme to achieve early results in debt reduction. Moreover, he is currently ahead of his targets and has won round his doubtful investors. By comparison, Anglo is still behind the curve and it is over two years since Mr Cutifani announced his first response to the growing debt problem faced by AngloAmerican. He is now faced with selling commodity assets into a world with much reduced demand for them. Far from growing, like his competitors, he is planning to shrink to a fraction of his former size. 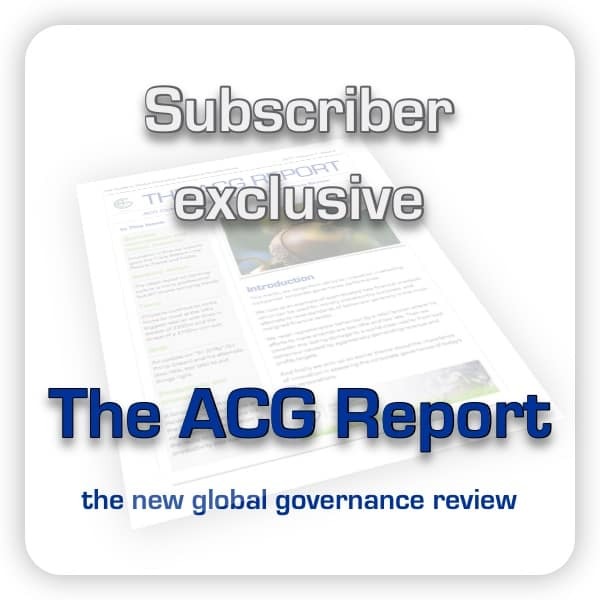 From the ACG perspective, good corporate governance is holistic. It is about running the business successfully in the balanced interests of the key stakeholders. There don’t seem to have been any loud complaints about AngloAmerican failing to comply with the regulatory rules regarding corporate governance, but it failed anyway in business terms. So, facing these strategic challenges, what would good corporate governance, defined holistically, require in Anglo’s situation? In the situation of radical change faced by AngloAmerican after Harry Oppenheimer’s retirement, the key requirement would be a clear view of the goal, the way forward, and a viable strategy to achieve this. The organisational requirements would then be predictable and able to be planned. As the world leader in mining, the goal to establish AngloAmerican on a global basis after the end of apartheid was natural and correct. But it required a leader with the strategic vision to make that leap, judging geo-political trends, cultivating global contacts and changing the culture and key personnel to deliver the results, recognising the cultural impediments and creating solutions. The resulting uncertainties, both the “known unknowns” and the “unknown unknowns” of Donald Rumsfeld, required the ability to take opportunities and to recover quickly from mistakes. The “professional managers” who ran AngloAmerican during that period have been judged to have missed the opportunities arising from the emergence of China and then jumped into a giant project late in the day which not only “missed the boat” but put the company’s continued existence in jeopardy. When we compare this with the way the “professional managers” at BHP Billiton and the “entrepreneur” at Glencore handled their strategic challenges, one would have to conclude that the sad decline of AngloAmerican must be laid at the feet of management. In relation to our Five Golden Rules, there was a failure in the strategy, and similarly in the organisation, in that the leadership wasn’t up to the job. Who knows if Harry Oppenheimer could have taken Anglo forward successfully in response to the challenges of a different era, but Ivan Glasenberg probably could. This AngloAmerican History and Case Study was written in 2016, since when the commodities cycle has moved on and increased prices have eased some of the pressure, at least in financial terms. A recent issue of our new ACG Report gives an update on the strategic and governance challenges still facing AngloAmerican.